E is for everything else. – Dirty wet dog , boats and sailing. 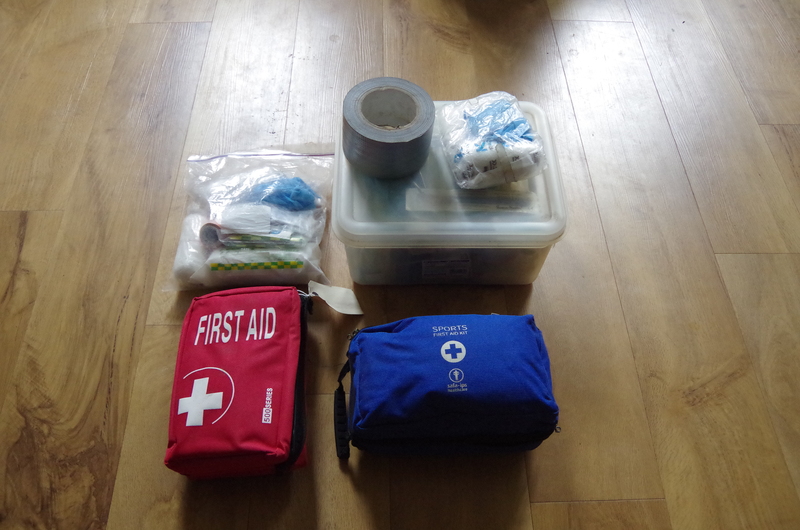 A post in my series about first aid and medical problems at sea. Those readers that have done a first aid course at a decent level in the last few years should be aware of the ‘ABCDE’ structured approach to first aid assessment and treatment. For those visitors that have never heard of it i will explain it in terms of first aid and how it is used in acute hospital management. The ABCDE idea is essentially a checklist approach that has come from the world of acute medical crisis work. Acute management courses such as intermediate life support (ILS) advanced life support (ALS) and other similar algorythym based courses use the ABCDE structure throughout. The central ideas of the ABCDE approach are that of priority, for example managing the airway (A) comes first in any crisis with an unresponsive patient and well before a problem in the ‘D’ group where the causative problem might be. In the ABCDE checklist A,B and C always worked very well because they are simply and clearly Airway ,Breathing and Circulation. After that it can get really messy depending on how you interpret D and E, some users of the system would also throw in ‘F’ and ‘G’…..G is useful because it can be used as a reminder for Glucose in a blood-sugar (hypoglycaemic) problem and is a good reminder. Most things that home and boat first-aiders will deal with though fall into the messy D and E categories which are often poorly defined in first-aid. In my own courses i taught D as simply ‘damage’ which is the best way i could simplify things although in my acute hospital role i thought of it as ‘Damage, drugs and detail. In outdoors first aid i used E as environment related problems, principally hypothermia which should be taught seriously but also emotion because a lot of my own first aid has been dealing with emotionally upset people. In my actual practice of being a boat medic though i don’t use that system at all although i might still write it up like that and certainly use it as the structure of verbal communication. It might be best then to read this post as the companion-opposite to my post about medical communication which is the culmination of the use of the ABCDE checklist. I faithfully taught ‘ABCDE’ throughout every course that i directed or worked on because that is a kind of industry standard and i think it would confuse lay people to do anything else but it isn’t how i work and think as a boat and field ‘medic’ myself. My own practice is more based on my traditional style nurse training but also has a strong foothold in the last serious side of medical practice that i learnt in my last job which was acute pain management. I learnt that specialty very much on the job because i had to….one day i was running around assisting with medical emergencies and the very next i was having to act as the clinical nurse specialist for pain problems with less than ‘FA’ training. Trying to apply ABCDE just doesn’t work and i had to learn a whole load of new skills and ramp-up my medicines knowledge big time. During that time i did have firstly one and then a second very effective consultant that i could and did take problems too. The second particularly taught me how to assess pain problems and how to present them, for example during our rounds, such that we could get at and recognise the problem quickly. That practice harks back much more strongly to my older style of nurse training and is better described as group or pattern recognition and i will take some time to explain that because ‘on the job’ it is much more close to what my mind is actually doing. The nurse training that i had in the early 1980’s can best be described as the last era of an old-style practical apprenticeship and taught in a school of nursing but with the bulk of the time spent working in the clinical area. From memory we started off with 6 weeks in preliminary training and then went out on 2 ward placements of 8 weeks straight away. The pattern from then on was 6 month blocks with a couple of weeks in school and the rest on the job. Unlike today it wasn’t taught in a university and crucially we were part of the actual workforce on the wards….cheap labour mostly but good experience. In the actual classroom training the structure was basically to cover the anatomy and physiology of a system, that’s the where it is and what it does….then the pathology of that system, the diseases and conditions related to that system, and ultimately the basics of how we treat those medically/surgically and what the nursing requirements are. Put basically and as an easy example lets take the heart…..covered in our first ‘system’ we got to know where it is, what it does, what goes wrong with it, how those things are treated and then how we as nurses do the actual stuff for those patients/those problems. Nurse academics can now spit their dummies, throw their toys right out of the cot and generally have very PC hissy-fits…..but for people like me it worked staggeringly well. While maligned by the nurse theorists and academics of today, and there are weaknesses in that ‘by rote’ approach, it does or did equip the nurses of my era with a sound practical ability that i see missing today. So we need to jump to a practical example of seeing pattern management at work and ideally a contrast with the ABCDE approach. I immediately thought of several actual examples from my experience but wanted to find one that bridges my nurse training and my outdoors first aid experience. The example i am going to use is that of a burn but not a standard thermal burn, rather a chemical (large area sting) burn. It didn’t and doesn’t sit easily in the ABCDE approach but rather it is a single cause injury with several problems as outcomes which only marginally appear in the ABCDE structure. First though i need to tell the actual story of what happened as it was a new situation and new knowledge for me. I was at sea as mate aboard the maxi cruiser-racer that i sailed in the Whitbread race and the following circumnavigation. We were doing charters in the Caribbean and on this day were anchored somewhere near some coral reefs. My co-mate who was a qualified diver had taken a group of guests out to the nearby reef to do some swimming/snorkelling and have a look at the life of a coral reef. I was as usual somewhere in the bilge doing the cleaning…..or maybe splicing up a new halyard….can’t remember. About an hour after going out there was a bit of a kerfuffle on deck and the group returned with one of the guests in some distress. What had happened is that she was only a weak swimmer and inexperienced in ‘live’ water. With a mask on and snorkel in something had made her panic in the water and she had done the typical thing of trying to ‘climb out of the water’ but somehow ended up sat directly right on a coral head and unfortunately one with stingers. Many sailors here that have been to the tropics will know that many tropical marine organisms can and do sting to such an extent that a genuine medical emergency is the outcome. If interested then look up box-jellyfish, stonefish, fire-coral and so on. This might have been fire coral. The result for her is that she had been stung badly across one buttock and down one thigh. The emotional distress of a young woman. Dealing with an actual wound in a particularly embarrassing area and the problems we might have today with a male medic/young female casualty problem. The potential other problems from a coral sting injury. If you are interested in the tropical injuries particularly make sure to have a look at Free range sailing where Troy and Pascale talk about these kind of injuries around the Australian coast which is where i also learned most about managing them during my time as a diver. With having to deal with that emergency and cleaning the bilges, it sounds like you got all the good jobs Steve!